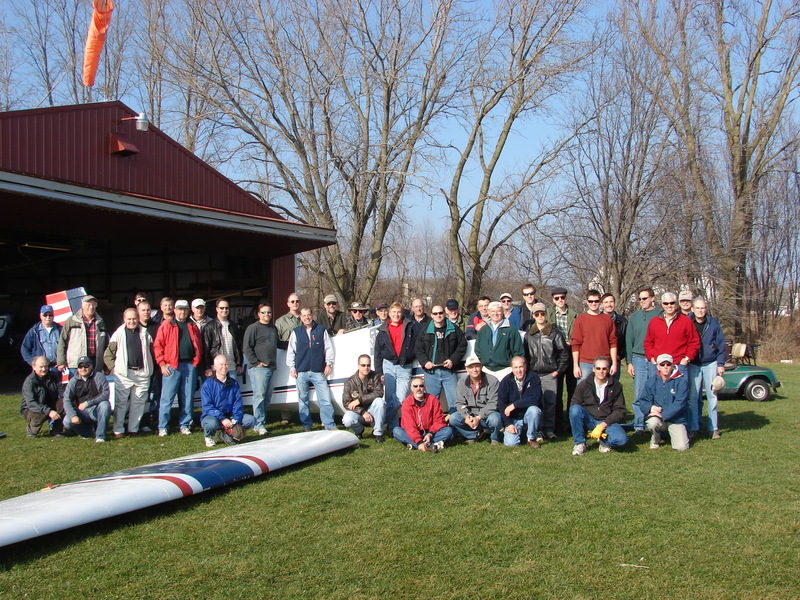 The club is all about sharing the fun of flying gliders with friends and family. We sponsor planned social events throughout the year but every day provides an opportunity to participate in the sport – and build friendships in the process! Location. Our private field is only 45 minutes northwest of Chicago off Interstate 90. The club has nine FAA certified flight instructors and fifteen tow pilots. Members have free use of the club’s five gliders. No rental fees! FAA Flight Examiner available for private and commercial glider check rides. Tow, winch and instructor fees are very reasonable! 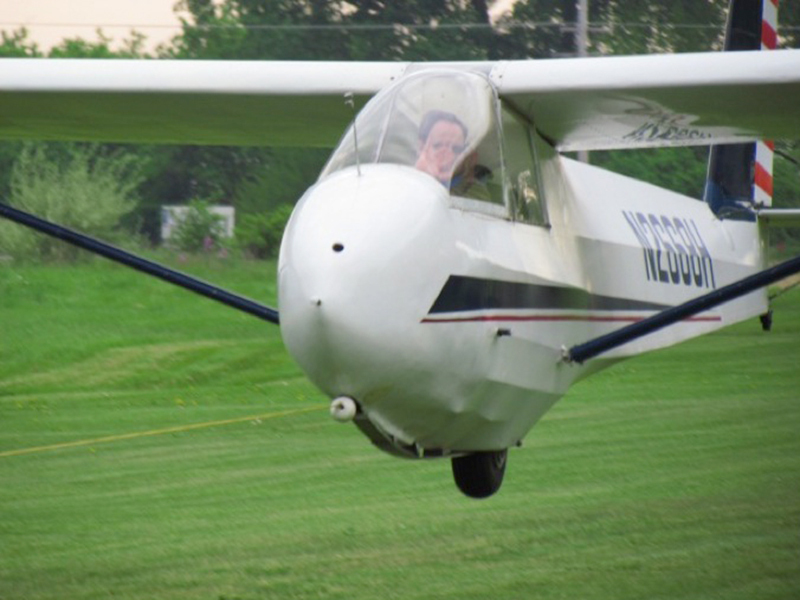 Sky Soaring airport (55LL) has a 3,000 ft. grass runway, a hangar, pilot’s club room, and free tie-down and trailer space for privately owned gliders. Our airport is privately owned and is not a busy commercial operation. It has no pattern congestion with power planes and no air space intrusion by sport parachutists. Opportunity to grow life-long friendships – priceless. Flying at Sky Soaring is Very Affordable! One-time new membership initiation fee is $150. 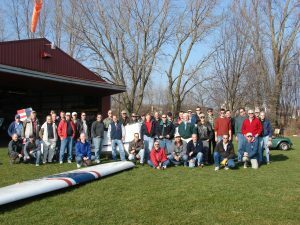 Associate Membership – $900 annually which includes a membership in both the Soaring Society of America (SSA) (a $72 value) and the Chicagoland Glider Council (CGLC) (a $10 value). After 5 years of continuous membership you automatically become a Patron Member. Family Membership – Parent plus youth or family member – Associate $900 + $50 per family member. SSA and CGLC membership. Youth & Junior Membership – (school enrolled students) is $250 annually *(no initiation fee). Includes SSA and CGLC membership. Youth and Junior Scholarships available through CGLC and the SSA. Family membership is $50 for each additional pilot. The Sky Soaring Board of Directors will review your application and the membership coordinator will contact you after your application fee is received. There is a refundable (should your application not be accepted) $150.00 *initiation fee to apply for Sky Soaring Membership. Please fill out the Application Form Below and press submit. Then go to our store and pay your initiation fee with your credit card. If under 18 please provide parent/guardian contact information. Sky Soaring is operated entirely by its volunteer members. Members must contribute their time and effort to the benefit of the club and participate in club activities. What specific resources or skills could you contribute? By pressing SUBMIT you affirm that the above information is true and correct. Now go to our store and pay your initiation fee.